MacLeod Farley & Associates is led by partners Rick and Pauline. We have a core team of professional consultants complemented by an extensive network of specialists whom we engage on a project-by-project basis to meet specific community project requirements. Rick MacLeod Farley is a development economist with twenty years of experience working almost exclusively on Aboriginal community economic development and Aboriginal ecotourism. Rick has an Honours Bachelor Degree in Economics, and has completed several courses towards a Masters Degree in Rural Planning & Development. Rick works very closely with client communities, assisting them to develop realistic and practical project plans in order to successfully secure attractive project funding and get projects up and running. 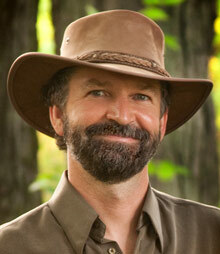 Rick is now an advisory board member with The International Ecotourism Society (TIES). For the last ten years, he has regularly been a guest speaker at various national and international conferences. This includes TIES workshops in Montreal in 2001 and in Quebec City in 2002 at the World Ecotourism Summit, workshops on "Achieving Aboriginal Ecotourism Excellence" for Maritimes First Nations in 2005, and at the national Aboriginal Tourism in Canada conference in March 2006. Rick also presented in 2007 at the North American Ecotourism Conference in Madison, Wisconsin and again in October 2008 at the Sustainable Tourism and Ecotourism conference in Vancouver, B.C. Pauline MacLeod Farley is a community project development specialist and a professional teacher. Since August 2009, Pauline has worked on our firm's projects such as the John R Delaney Youth Centre, Washow Lodge, a tourism development scoping study for Chipewas of Nawash Unceded First Nation, and a cultural resource use for Moosonee. 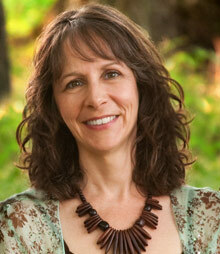 From 2006 - 2009, Pauline served as Manager of Development at the Tom Thomson Art Gallery in Owen Sound, Ontario. The role involved generating and implementing strategies to increase the profitability of this dynamic gallery. During her tenure, Pauline steered the organization's staff through a period of substantial change. She oversaw an organization review that clarified the gallery's vision and mission through strategic planning, reviewed and improved financial systems, human resources, membership and fundraising programs and helped develop award winning marketing and programming. Between 2000 and 2006, Pauline's projects with MacLeod Farley & Associates included a Strategic Business Planning project for the Classic Theatre in Cobalt (followed by a volunteer role as Chairperson for the theatre) and extensive work on the Historic Cobalt project for the Town of Cobalt. She also helped coordinate our firm's heritage planning work on the Fur Trader Village Project in Moose Factory. Pauline holds degrees in Drama and Education from Queen's University. She also has taken training in Sustainable Profit Improvement. Pauline is currently completing a Certificate of Museum Studies with the Ontario Museum Association. ©1993-2019 MacLeod Farley & Associates, All Rights Reserved. Washow Lodge photo credits: Patrice Halley, Kim O'Connor.